We all want our kids to do well in life. We want them to be happy, healthy and fulfilled. Life is a journey, and you won’t be able to join them every step of the way. Nonetheless, those first steps are taken before they even start school and you’ll be instrumental in setting them on the right path. With your help, they will gain the right skills and the confidence to help them in school and later in college. There are many things that we know can help aid kids in their cognitive development. Ensuring that they are stimulated and encouraged, shown love and well nourished is pretty much common knowledge. But there are some things that you may not have considered that can give your son or daughter an academic edge. 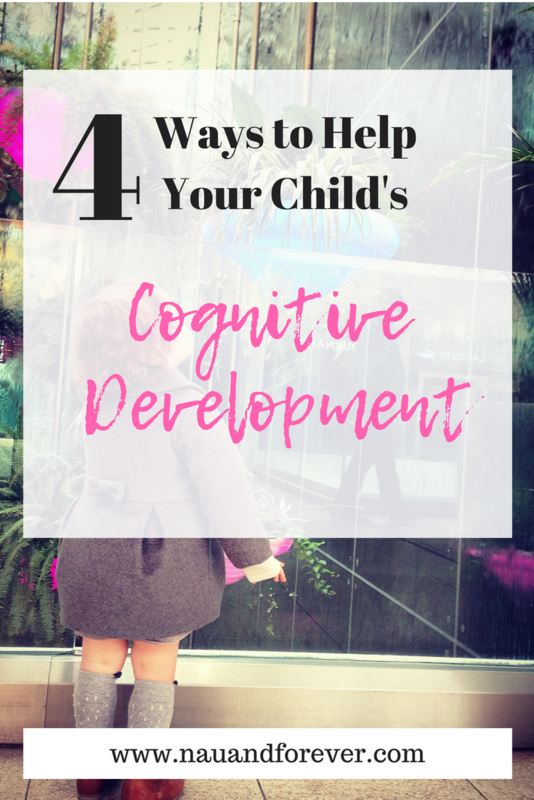 Check out 4 ways to help your child’s cognitive development. IQ is one thing, but studies have shown that intelligence needs to be paired with discipline. It’s vital that we raise our kids with the discipline to apply themselves to their studies rather than coasting on their innate talent or wits. A great place to start is their bedroom. A clean bedroom is great for a restful and productive mind. It’s a great excuse to go shopping for children’s wardrobes and other cool kids’ furniture. Making sure that they have a beautiful room and are encouraged to keep it beautiful is a great first step in ensuring discipline. Oh, and a handy hint, a diffuser filled with peppermint or citrus essential oils will not only make the room smell gorgeous but aid cognitive function. We all know that getting plenty of sleep is important for kids’ development but it’s also great for cognitive development. Missing just one hour of sleep a night can turn a sixth grader’s cognitive ability to that of a fourth grader. It also helps them to better metabolize their food and stay healthy and in shape. Getting plenty of sleep can even reduce their risk of Alzheimer’s in later life. Even if your kid has no desire to be a Grammy winner, there are numerous cognitive benefits to music lessons. Kids who learn a musical instrument show higher across the board IQs and also demonstrate better coordination and tend to be more disciplined. The stereotype of the dumb jock is a myth. There’s actually substantial evidence to prove the correlation between a healthy mind and a healthy body. Being fit and healthy facilitates better learning and can even help them pick up new words and build a more comprehensive vocabulary 20% easier. Exercise facilitates better blood flow to the brain enabling it to get more nutrients and oxygen. Sporty kids tend to be more articulate with better memory and reasoning skills. In fact, busy Moms can even help to keep themselves in shape by exercising with their kids as a family. Win-win! As parents, we want to do everything we can to help our kids grow up smart, healthy and ready for success. Use these ways to help your child’s cognitive development.